The Watchers was shot in late 2016, and through the hard work of an amazing cast and crew, the pre-production and shoot itself went extremely smoothly (even with my own laptop almost falling off the set, see below). 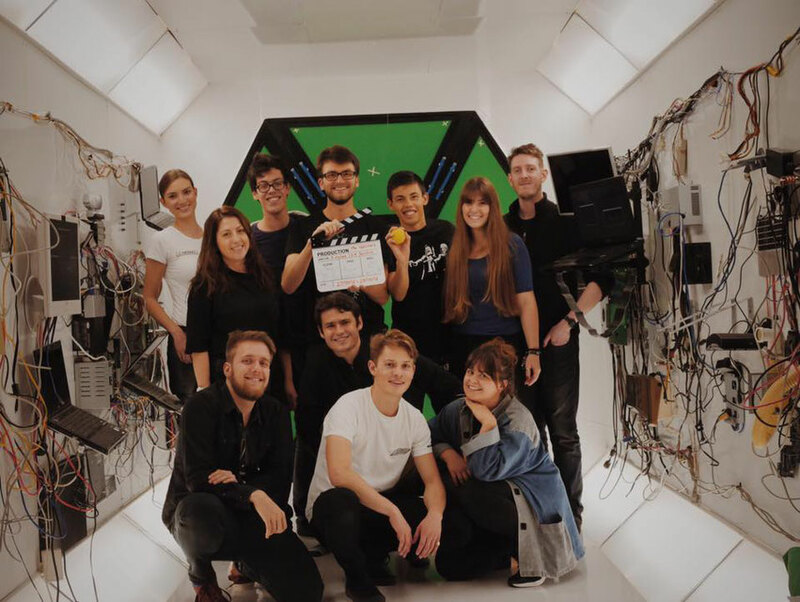 Jumping straight into such an ambitious film straight after graduating, with professional adult actors and a fully constructed set of the International Space Station (thanks to the wonderful Jason Kelvin), was such an exciting time as a director. 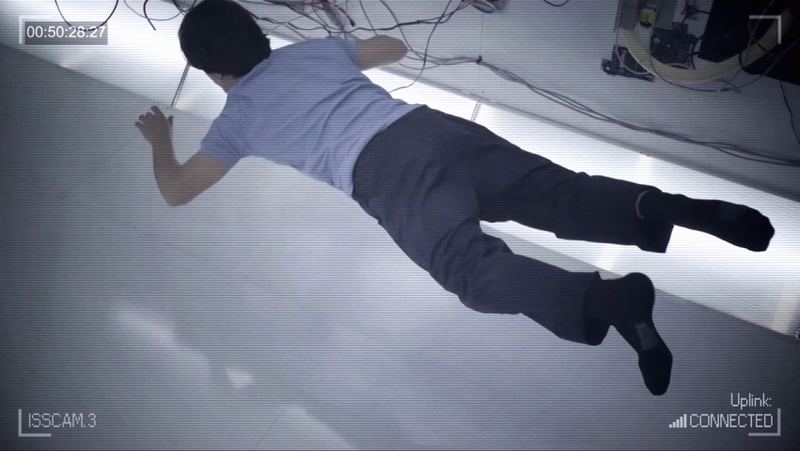 I’d like to discuss the process in detail once the film’s out (because the shoot is definitely still fresh in my mind…), but creating zero gravity by pushing a wheelie chair with a broom and hanging tennis balls from fishing wire was certainly a highlight. I've been looking forward to watching this one. I've thought of this film often since first reading about it. On a number of occasions, I've commented that I was glad there were going to be moments of humor in the final anthology, as The Impact would otherwise be a depressing movie to sit through. Now... it occurs to me that the audience can also leave the theater with a glimmer of hope. These characters are still alive after the shockwave destroys the planet. The human race isn't completely dead after all. As an editor, I would completely re-cut and re-structure We Were Human, which I originally thought of as the final story in the film, to actually lead into this one, thus making this the end of the film instead. (Note to Chris: It could work. Think about it.) I really can't wait to see this film. I wish I could attend the special screening, but that's a bit of a stretch for me; I'll just have to wait like everyone else until it's up online. Thanks everyone for the encouraging feedback, we're incredibly excited that it's nearly done! And Heather when I first wrote this I did picture them with super slick NASA-type overalls but the reality is they do tend to dress far more casually (and also getting permission to use the NASA logo is so hard :( but our original designs did have NASA patches on them). Loved reading about your journey and the teaser looks stunning. Very much looking forward to seeing the film. Gives a whole new angle to the snuffing out of humanity taking hold back on earth!